Benjamin was educated at Queen Mary College - University of London and the College of Law, London. Here he studied Law before embarking on a career with Devon and Cornwall Police, where he qualified as a solicitor and worked handling a broad range of litigation matters and general legal queries since 2002. Benjamin joined Kent County Council in August 2009 as a lawyer specialising in employment law and Judicial Review. 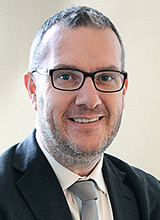 He quickly became the council’s Head of Law for the Litigation and Social Welfare Group which comprised Social Services, Employment, Education and General Litigation. View the job description (PDF, 88.7 KB). Benjamin has not claimed any expenses for the past financial year.